So now, everything is packed away and rehearsals have already started for our next production. A lot of hard work paid off with three great performance nights – but not without trauma, however…. 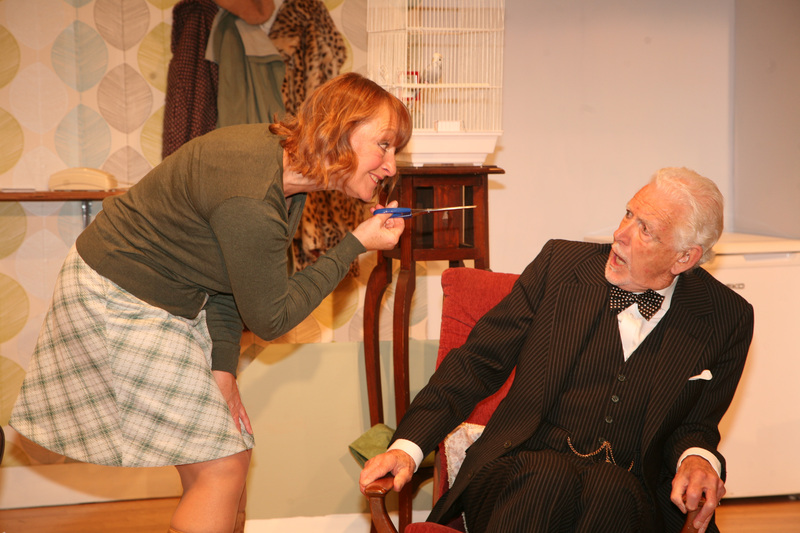 One of our cast, Gill, a major character, was unable to perform after the first night due to illness. (She’s fine now by the way). With four hours to go before curtain up we burst into action and decided that the cliché must be fulfilled: the show must go on. When a group of amateurs such as ourselves put such effort and spare time into creating a full stage production then it would be an injustice to that effort – and to our loyal audiences – not to find a way of carrying on. Barbara, stage-managing before the crisis! We needed someone to read in the part if we were to perform. 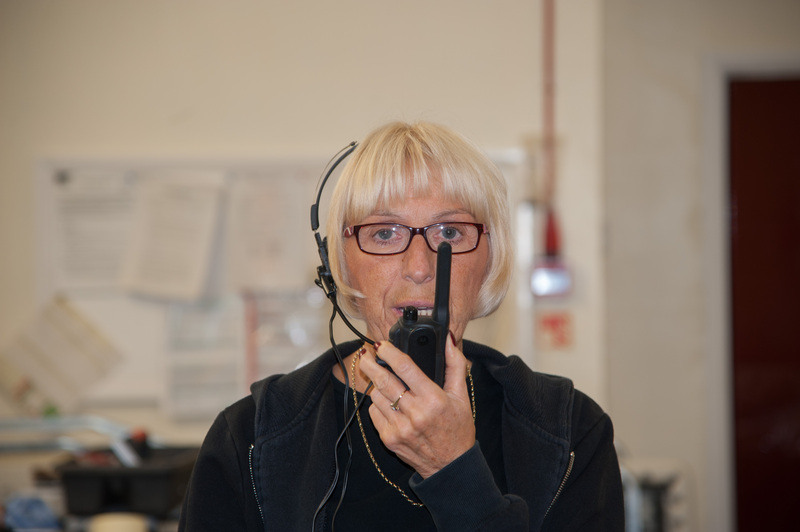 Barbara, our stage manager for this production jumped at the chance (she would say pushed) and we gathered as many of the cast as we could to have a run through of the essentials – the lines, the moves, the costumes. All amateur groups struggle to find actors as it is, so the concept of an understudy is just not possible. Done well, working script in hand works so that the audience is not distracted. It was a remarkable achievement that the members pulled together during those frenetic few hours so that we were able to keep going. The audience reaction was amazing and appreciated by all. Barbara did an exceptional job and it is pleasing that Gill was able – if only for one night – to bring her wonderfully developed role to the stage.